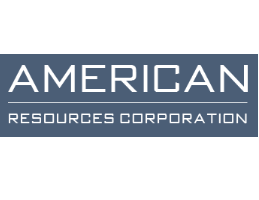 April 7, 2019 - American Resources Corporation (NASDAQ: AREC), a supplier of raw materials to the rapidly growing global infrastructure marketplace, with a primary focus on the extraction, processing, transportation and selling of metallurgical coal to the steel industry, announced today that it has delivered an additional continuous miner to its Mine #15, located in Pike County, Kentucky, to further expand the production of metallurgical coal. The currently operating Mine #15 is an underground mine located at the company's McCoy Elkhorn Coal complex and produces High Vol B metallurgical coal from the Glamorgan coal seam. American Resources currently utilizes two continuous miners at two separate operating sections within Mine #15. Due to the high demand for the metallurgical coal produced by this mine, and as part of its expansion plan, the company recently acquired one additional continuous miner and has another in the rebuild process to enhance the mine's production. This additional Joy 14CM15 model continuous miner that was acquired will be the third operating miner at Mine #15 and is expected to have proximity detection safety technology installed and producing within six weeks. This third continuous miner will be used to convert one of Mine #15's single-sections to a modified super section and then shortly thereafter to a full super section whereby, increasing the mine's total output by 6,000 (modified super section) and ultimately 12,000 tons per month (full super section). As in the past, all production from Mine #15 is belted directly into one of the company's two on-site coal processing facilities at McCoy Elkhorn Coal and loaded onto rail. Additionally, the enhanced production will give American Resources the ability to blend the coal with other metallurgical production at McCoy Elkhorn to offer its customers a very attractive High Vol metallurgical coal product. As a result of the increased tonnage, the fixed operating costs at the McCoy Elkhorn processing and load out complex will further be reduced on a per ton basis, providing further margin expansion.